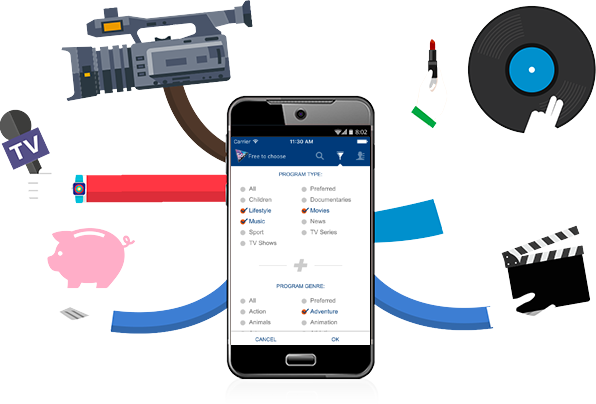 Sat.tv is a new 'TV guide' mobile application dedicated to free-to-air TV channels broadcasted by HOTBIRD and NILESAT/EUTELSAT 7W SATELLITES. 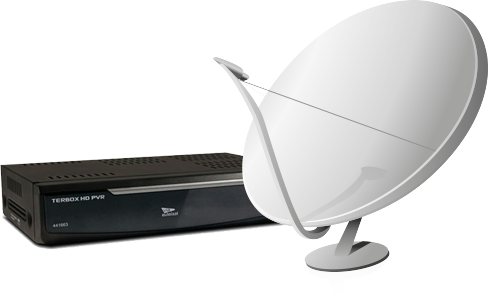 It enables you to view details of your favourite programmes and TV channels in real time and to see which programmes are up next. Intuitive and customisable, Sat.tv offers you a TV guide that is in perfect sync with your preferences. 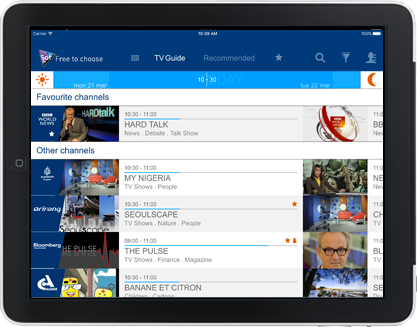 The mobile app allows you to browse through all the channels broadcasted on our satellites. The Sat.tv experience extends to the smart-tv to find a personalised selection of programmes directly on your TV set. Browse through the TV programmes available on more than 400 channels, in more than 34 languages and 15 genres of entertainment to choose from! Highlight the TV channels that you're interested in, according to your chosen language and your favourite genres. Bookmark your favourite TV channels and programmes. Let yourself be guided through the world of TV. Discover other TV programmes suggested by Sat.tv, based on your preferences. 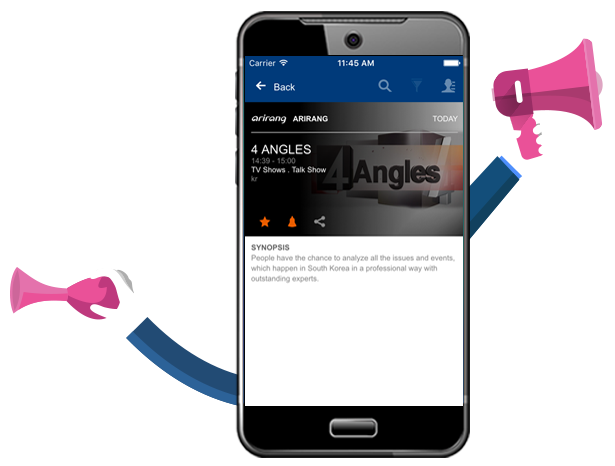 Set up alerts for TV programmes that you don't want to miss and receive notifications as soon as they are on air. Set up an alert for a programme that you don't want to miss in one click! Sat.tv will send you a notification to remind you when your programme is on. Back at home, find your favourite programs and recommendations that are about to start directly on your TV set. Share the TV shows, films, documentaries and series that you love via social networks. Exchange comments on TV highlights with your friends! HOW CAN I GET THE PACKAGE?